Being confused when you receive a check from the insurance company is extremely common. Here we address some common questions and concerns! While receiving the check from your insurance company can be a huge relief to you, it can also create even more questions. What is this check for? Why does the amount not match my contractor’s estimate / billing? Is this all they’re going to give me? What is this check for? Why does the amount not match my contractor’s estimate / billing? It’s quite common to receive a check that doesn’t match the amount of your mitigation company or contractor’s billing and this can be for a variety of reasons. Your insurance adjuster could have deducted your insurance deductible from the amounts paid, they could have depreciated the repair services, or they could have short paid the invoice for some erroneous or arbitrary reason. 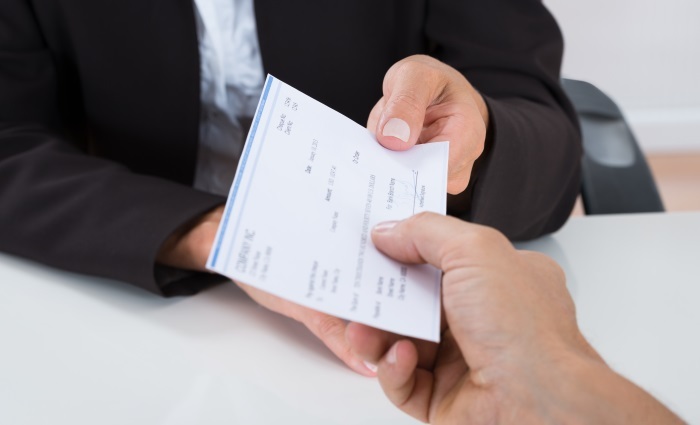 If you receive a check that does not equal your contractor’s billing or estimate, it’s best to notify your contractor immediately so that they can follow up with your adjuster for an explanation as well as to potentially resolve any billing issues. Is this all they're going to give me? Maybe, maybe not. It’s extremely common for your insurance company to issue distinct payments for individual needs. For instance, they will often issue a payment for the mitigation services and separate payments at the beginning and completion of the repairs. Checks issued for repair services are regularly issued in two parts, the initial portion intended to allow you to get the work started, and a second payment for the recoverable depreciation ( what is depreciation? ). In this case, it’s important for your contractor to submit the necessary completion documentation after the repairs are complete so that your insurance adjuster can release the remaining payment. Contractors that work with insurance companies will understand this and be able to take care of this for you. Why is my mitigation company / contractor listed on the check? It is common for your insurance company to list your contractor on checks intended for the services they rendered. If, for whatever reason, your contractor becomes listed on a check that is for work they will not be performing, let your contractor know and they should be able to either endorse the check for you or have it reissued. Why is my mortgage holder listed on the check? In cases where your insurance claim has exceeded a certain amount (most often $ 10,000), your mortgage company may require that your insurance company list them on the check. As your mortgage company has a vested interest in having your property repaired to its pre-loss condition, this is intended to ensure that your insurance company payments go towards the repairs rather than something like a vacation. Unfortunately, your mortgage holder being listed on the check can greatly complicate and delay the repair process. Your mortgage company will require that you endorse and mail the check in to them, where they will deposit it into an escrow account and require a variety of paperwork from your contractor in order to release payment. Once your mortgage company is satisfied with the paperwork submitted, they will then release payment in 3 or 4 different disbursements during the course of the repair project. We understand how confusing the insurance company check can be and are happy to help address any questions or concerns our customers may have. Should you have an insurance claim and need our assistance, please don’t hesitate to Contact Our Offices! We’re happy to help!